Home > Video Production > Selling Out? I’m a self-labelled ‘creative’ who earns a living predominantly in the corporate and TV worlds. Has it ever occurred to me that I’ve ‘sold out’ or that my artistic vision is compromised? No, to be honest or I wouldn’t have put myself into the position I’m in as Director of TV Commercials and corporate video company. There are easier ways to earn from our commercial system. Recently, however, I’ve been examining how I approach work both creatively and more relevantly technically. My good friend and photographer Toby Deveson (https://www.tobydeveson.com/) recently pointed out this article about ‘staying on the bus’,(https://t.co/ZMjcP25nVX) keeping in the same direction if you want to get there. This led me to re-examine media I was working in when I first started out, to see how far I’d come, or deviated. These days, laptop editing systems, FCP, Premier pro etc, are relatively easy for the novice to come by. When I was starting out I couldn’t afford a steenbeck (https://en.wikipedia.org/wiki/Steenbeck )for those who don’t know), and so would practice editing by pausing and restarting two VHS players. Although never the most accurate process technically, it led me to really focus on what shots were required in the first place as well as producing some interesting edit points by ‘mistake’ which I could then learn from. I also used to take a lot of ‘print’ photography on an old 35mm SLR. Not being able to see the results until they were printed, often weeks later, was not only exciting, it taught how you had to get the technical stuff right at the time of shooting. You couldn’t just check back what you’d shot, re-adjust for exposure for example and take a hundred more pictures to be safe. 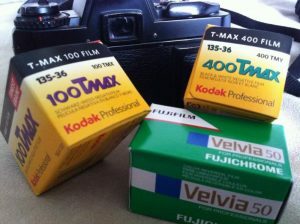 That’s the other thing, 35mm was either in rolls of 24 or 36 exposures. I also loved the surprises you might get when printing as well. The contrast was often extreme, especially in natural light, when these days I’m often shooting video for a ‘flat look’, but more of that later. Thinking about this led me to dig out my old SLR. It’s not pretty, an old Pentax thing, that needed an hour of cleaning after not having been used for over 8 years or so. But it did get me excited about shooting some film this weekend. I even managed to buy some good stock and posting the above led to a fair few comments and likes on Facebook, definitely sparking interest. I’ll post the results, once developing and printing process has gone through. Photography, though, has always been a hobby for me. I am first and foremost a video/moving image/film/tv director/shooter/artist – call it what you will. And I started to think about what the images my SLR might produce and looking at Toby’s lovely photographs began wondering if I could use my Sony FS-100 video camera in the same way as an old school SLR. 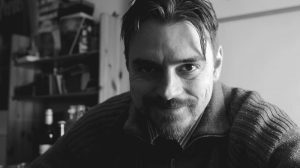 I’d played around with picture profile settings a far bit before, following the likes of Philip Bloom in hunting for good settings for different lighting set-ups, or for getting the most out of the camera once the footage was imported into the post production work flow. Now, however I had a particular artistic image that I wanted to create. And not only image, I’m thinking of raising the shutter speed to make the video stutter more and give a whole ‘photographic feel’. I used online crop factor conversion tables to work out I needed to set my lens at around 33mm if I wanted to give a look of a SLR 50mm lens. I played and played with the Picture Profile settings until I had something that looked right. Then I shot some test footage. Then I compared it to the original straight out of the camera shot that I had spent the time creating. I realised I liked the out of the camera look better and that what I had been doing was falling back on my corporate habits of trying to ‘flatten’ the image which was what this whole process was about avoiding. Let me know which you prefer. I like the picture I’ve got now, but will continue to experiment. As the ‘stay on the bus’ article mentions it’s important to find your own voice. However, doing corporate work isn’t ‘selling out’ its using our skills to manipulate moving image to achieve what we want. Or what someone else wants. We use technical processes to provide that voice, whether it is our own or not. Creating a ‘flat look’ for the talking head of a company MD is voicing someone else’s message but its an understanding of the variations within the creative process that enable us to be able to do it. We just shouldn’t forget the old school artistic moments of expression that this medium opens us up to.